Eskom says it is not likely to implement load shedding on Sunday. The power utility has implemented Stage 2 load shedding which continue until 11 o’clock Saturday night. Eskom has implemented nationwide electricity cuts for more than a week to prevent the national grid from collapsing. Cyclone Idai has damaged powerlines that supply Eskom with electricity from the Cahora Bassa Dam in Mozambique. “At the moment, we are on Stage 2 load-shedding, which will end tonight at 11 o’clock. As from tomorrow, we are favourable. We are not expecting to implement load shedding tomorrow on Sunday. From Eskom’s side, thank you very much for bearing with us for this week. It has been a tough week indeed. We steadily improved. 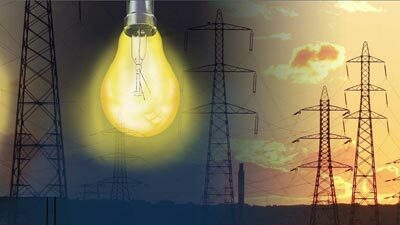 We continue to appeal to the public to please use electricity sparingly, so that we can keep out of the range out of load shedding in future,” says Eskom’s spokesperson, Andrew Etzinge. The post Eskom unlikely to implement load shedding on Sunday appeared first on SABC News – Breaking news, special reports, world, business, sport coverage of all South African current events. Africa's news leader..